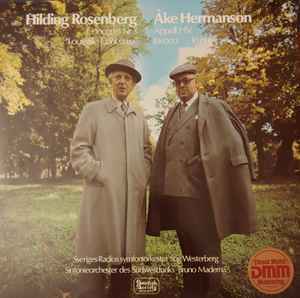 Recorded Musikaliska Akademiens Hörsal, Stockholm, Dec 12-13, 1970 (Appell I-IV), Feb 15 & 20, 1971 (Invoco), and June 16-17, 1972 (Concerto nr 3). "In Nuce" recorded Baden-Baden, Germany, 1966. Notes in Swedish, with short unsigned presentations of the composers in English.